gram flour coated cottage cheese fritters. 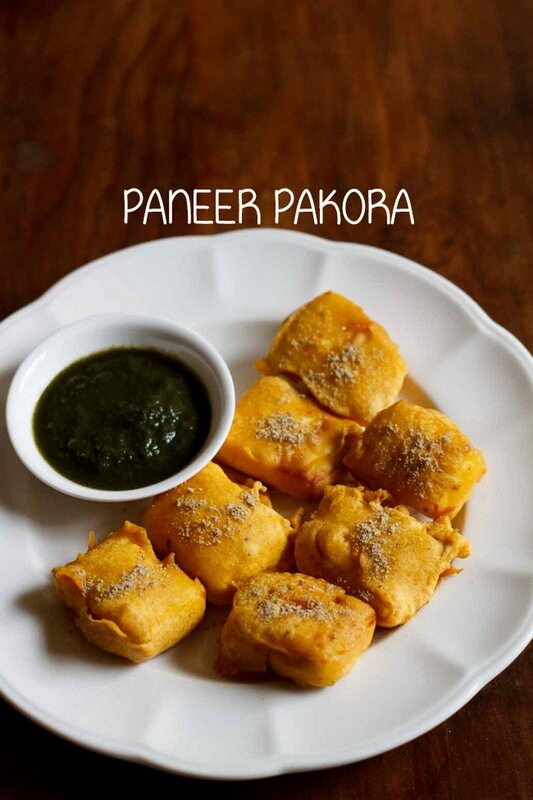 these tasty paneer pakoda are crisp from outside and soft from inside. 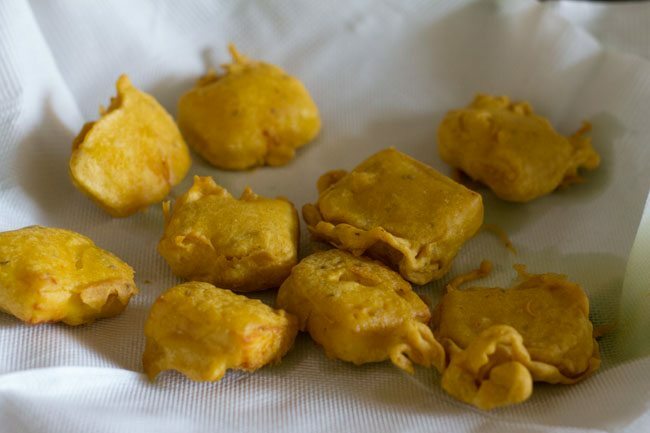 paneer pakora recipe with step by step photos – these tasty paneer pakoras are crisp from outside and soft from inside. paneer pakoda is a popular pakora variety. at my in law’s home, whenever we make pakoras, to be had for dinner with rotis, then many varieties of pakodas are made. usually paneer, aloo, gobi, onion and palak pakoda are must in that list. generally when i make any pakora at home then i fry them once. but at my in law’s place, they use a different lengthy technique to make pakoras. they fry them twice. the first batch is half fried & then pressed lightly in your palms or pressed with a bowl. they are second time fried till crisp & golden. i usually don’t do this method because it is time consuming but you can give it a try as frying this way makes the pakora very crisp. at home, we usually fry any pakora in mustard oil. 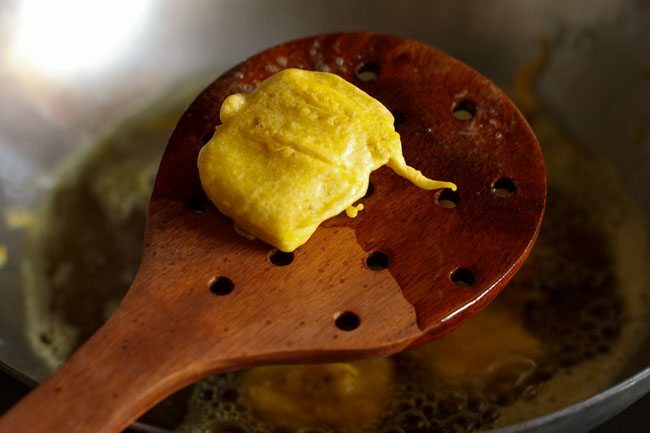 frying in mustard oil gives a very good taste and flavor to the pakoras. plus mustard oil has a high smoking point which makes it good for deep frying. 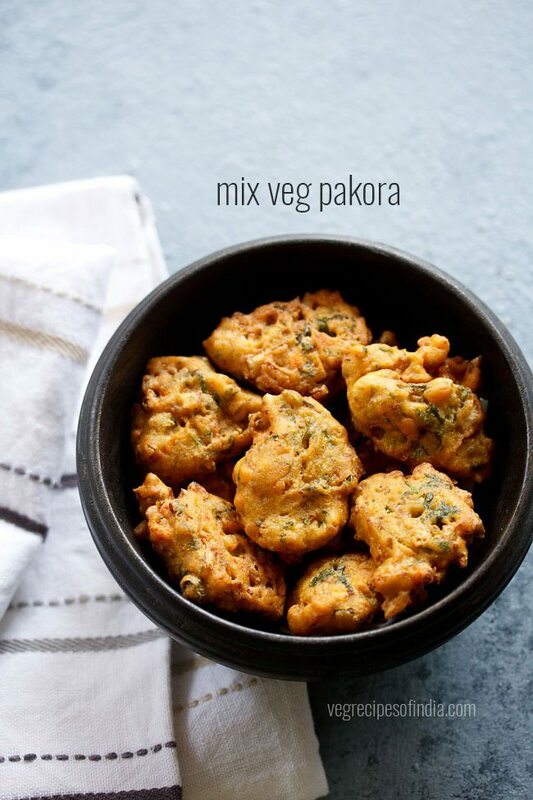 these paneer pakora can be had as a snack or with a cup of tea or if you are really fond of pakora then make some more varieties of pakoras and have them with rotis or chapatis as we have. serve paneer pakora sprinkled with chaat masala along with tomato sauce or mint chutney or green chutney or coriander chutney. 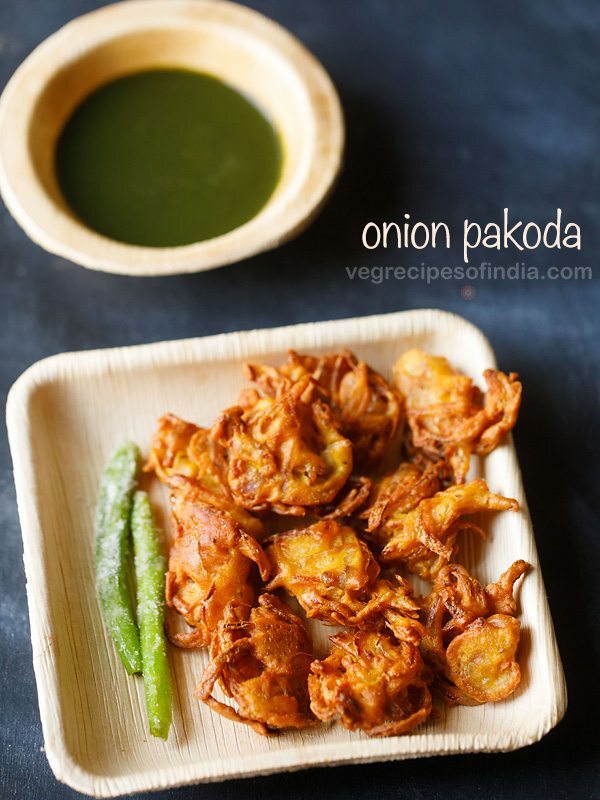 onion pakoda – north indian style onion fritters. 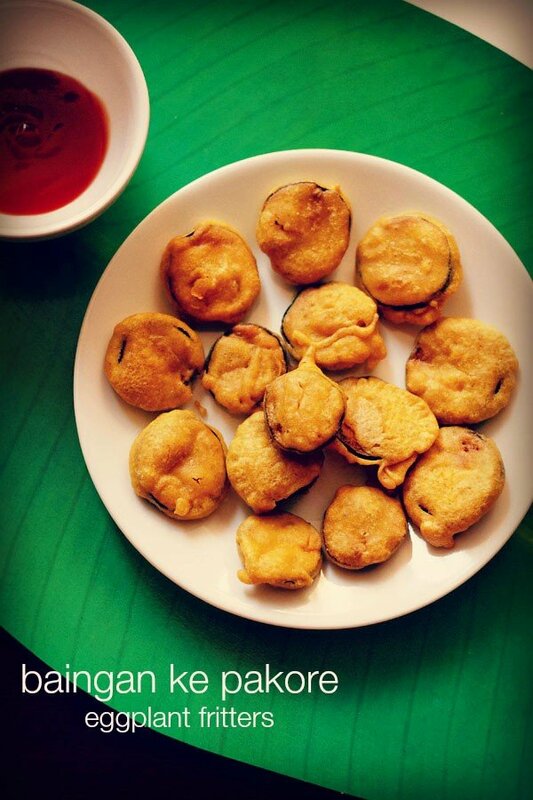 mirchi bajji – stuffed chilli fritters from andhra cuisine. palak pakoda – crisp spinach fritters. ulli vada – crisp and crunchy onion fritters from the kerala cuisine. add 1 cup besan into a mixing bowl or vessel. chop the paneer into cubes or squares. 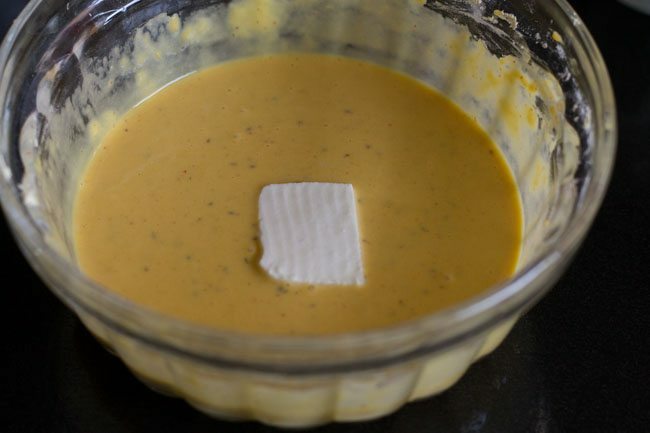 next add 1 pinch turmeric powder, 1 to 2 pinches red chili powder, 1 to 2 pinches garam masala powder, 1 pinch asafoetida, ½ teaspoon carom seeds and salt. mix well. pour ⅔ to ¾ cup water and mix well. 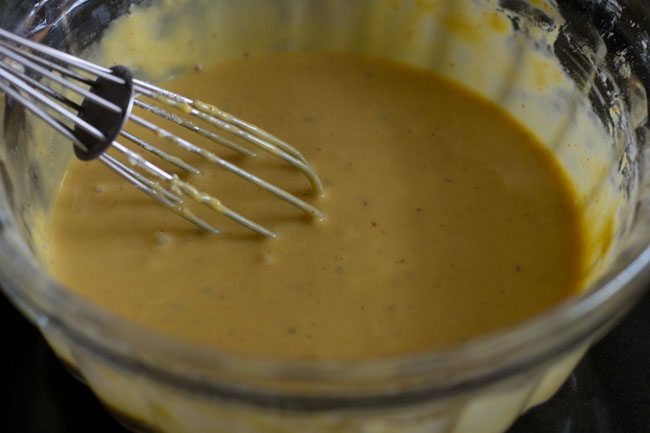 use a wired whisk to mix the batter. 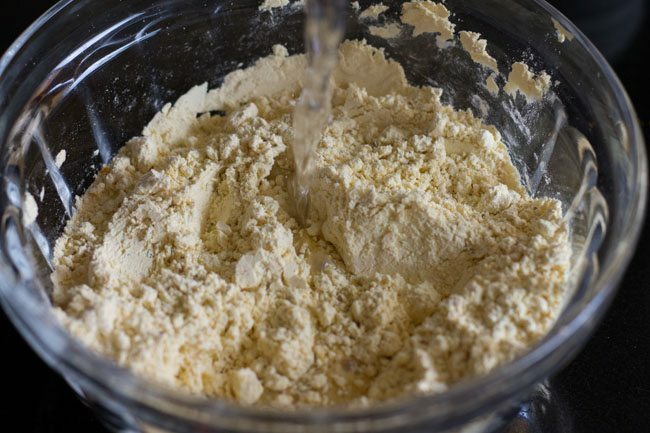 make a thick flowing smooth batter without any lumps. you have to add water as required to make this thick flowing smooth batter. heat mustard oil for deep frying in a kadai or pan. 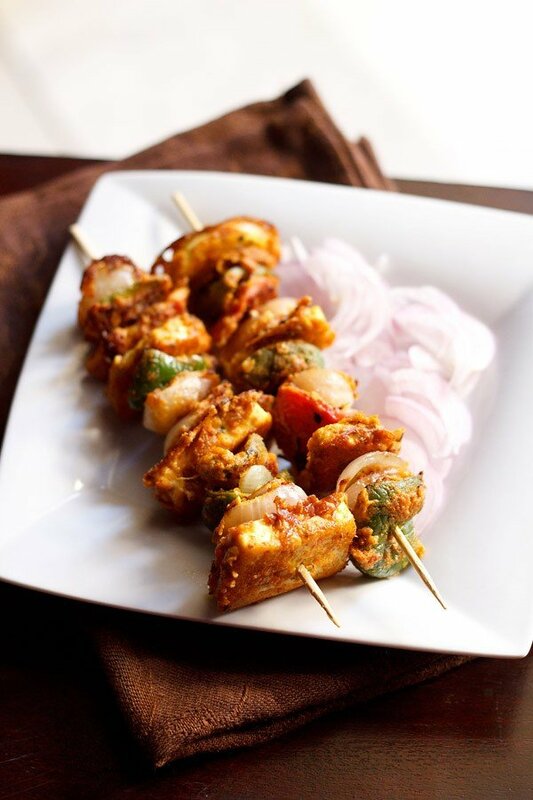 when the oil becomes hot, add the batter coated paneer cubes gently in medium hot oil. when one side is light golden, gently flip the pakoras. continue to fry the paneer pakoras till golden and crisp on medium flame. remove the pakoras with a slotted spoon. drain paneer pakoda on paper towels to remove excess oil. serve hot paneer pakora sprinkled lightly with some chaat masala with coriander chutney or tomato sauce. you can adjust the spice quantity as per your taste. i have made the paneer pakoras mildly spiced. 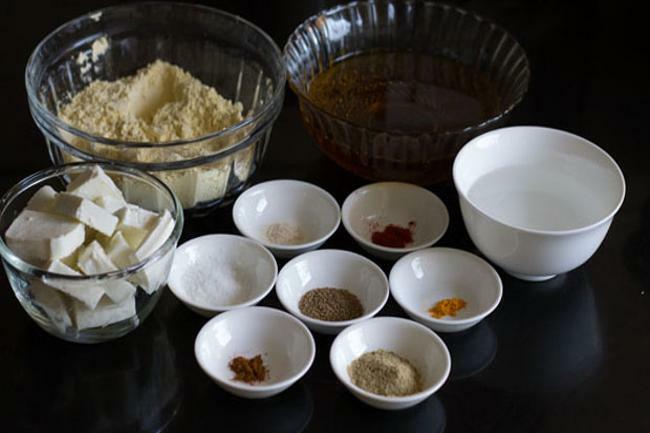 1. measure and keep all the ingredients ready for making paneer pakora. 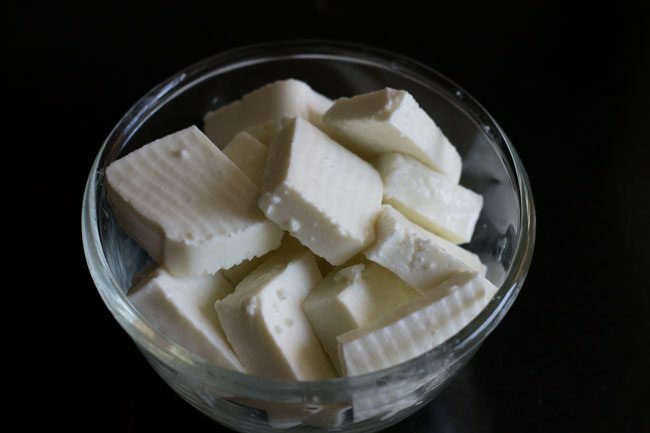 2. slice 125 to 150 grams of paneer (cottage cheese) into cubes or square. 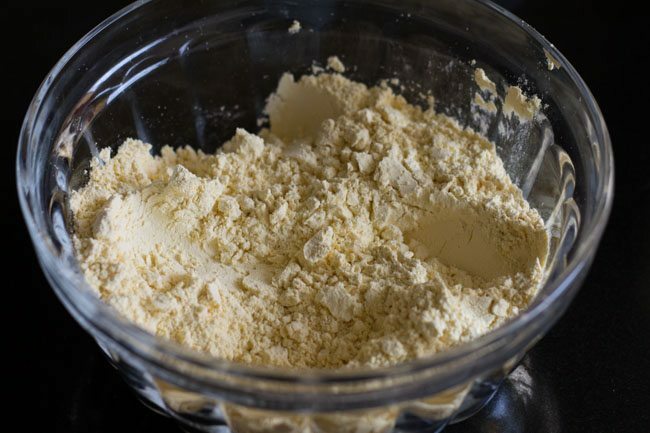 3. in a mixing bowl or vessel, take 1 cup besan (gram flour). 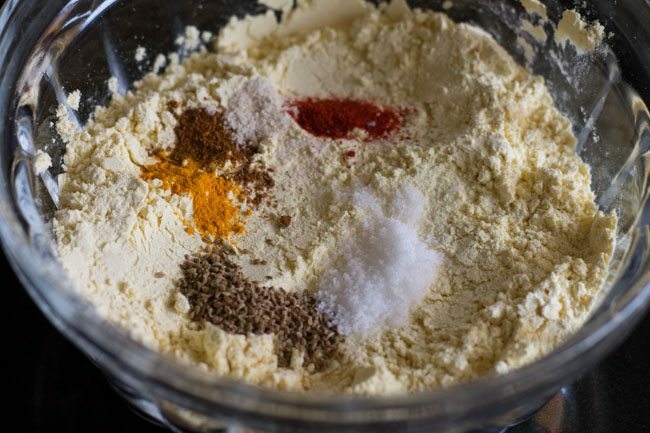 4. now add 1 pinch turmeric powder (haldi), 1 to 2 pinches of red chili powder, 1 to 2 pinches of garam masala powder, 1 pinch asafoetida (hing), ½ teaspoon carom seeds (ajwain) and salt as required. 6. pour ⅔ to ¾ cup water and mix well. 7. use a wired whisk to mix the batter. 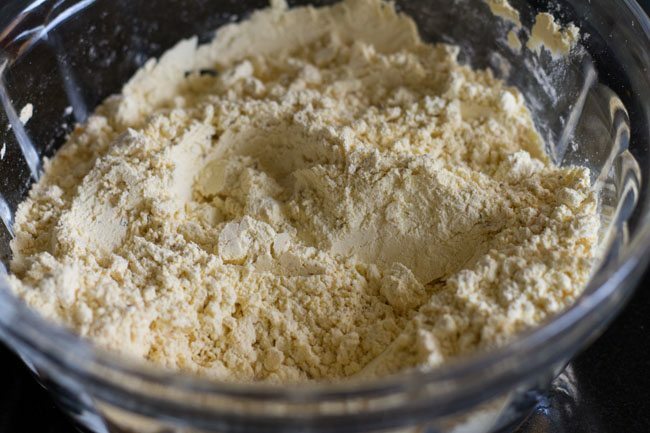 make a thick flowing smooth batter without any lumps. you have to add water as required to make this thick flowing smooth batter. 8. dip the paneer cubes into the batter. coat them well. 9. heat mustard oil for deep frying in a kadai or pan. 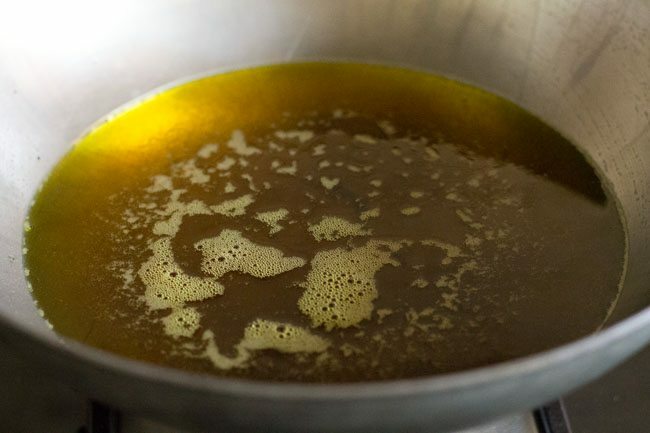 instead of mustard oil, you can use sunflower oil or peanut oil also for frying. 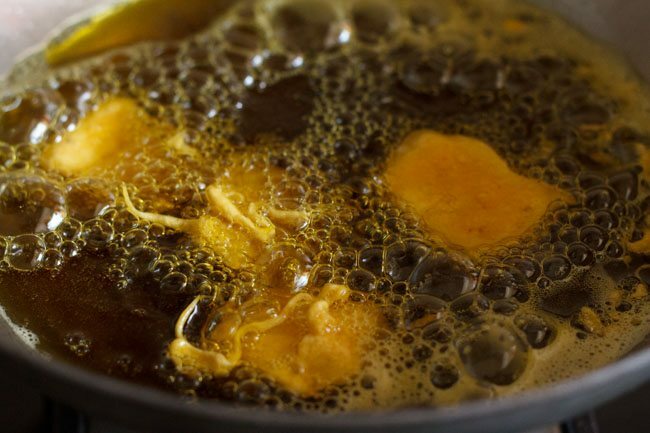 10. when the oil becomes medium hot, add the batter coated paneer cubes in the oil. keep the flame to medium. 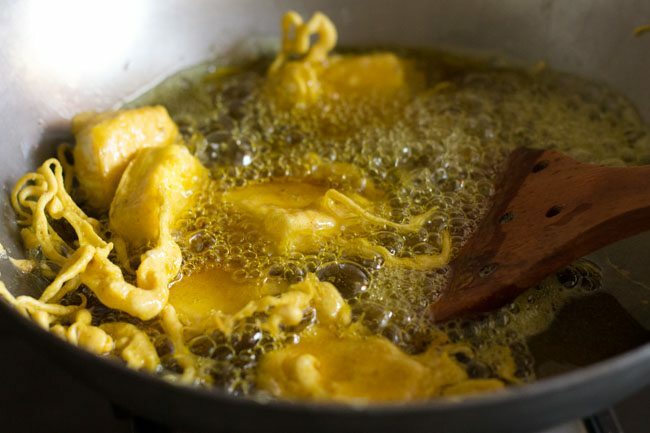 11. when one side is light golden, gently flip the pakoras and continue to fry the second side. 12. flip a couple of times for even frying of the pakoras. when paneer pakoda become crisp and golden then remove them with a slotted spoon. 13. drain paneer pakora on paper towels to remove excess oil. 14. serve paneer pakoda sprinkled with chaat masala along with tomato sauce or mint chutney or green chutney or coriander chutney. In Uttar Pradesh for paneer pakoda we using different combination of spices- crushed or whole black pepper, asafoetida and cumin seeds. For sprinkling – chaat masala or mix of amchur and black salt. This is very testy combination for paneer pakoda.No any chilly powder, garam masala, haldi or ajwain. 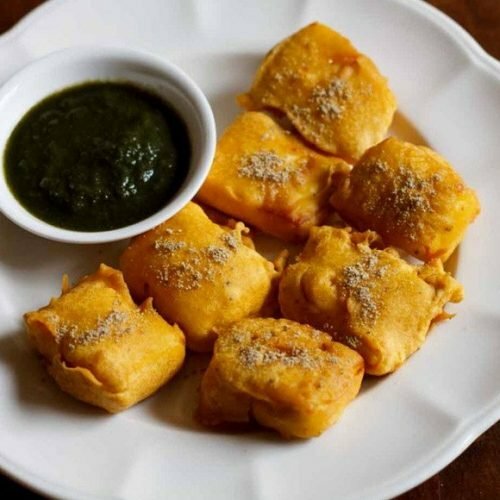 this paneer pakoda recipe is a punjabi recipe. we make paneer pakoda this way at home. thanks for sharing the utttar pradesh version. 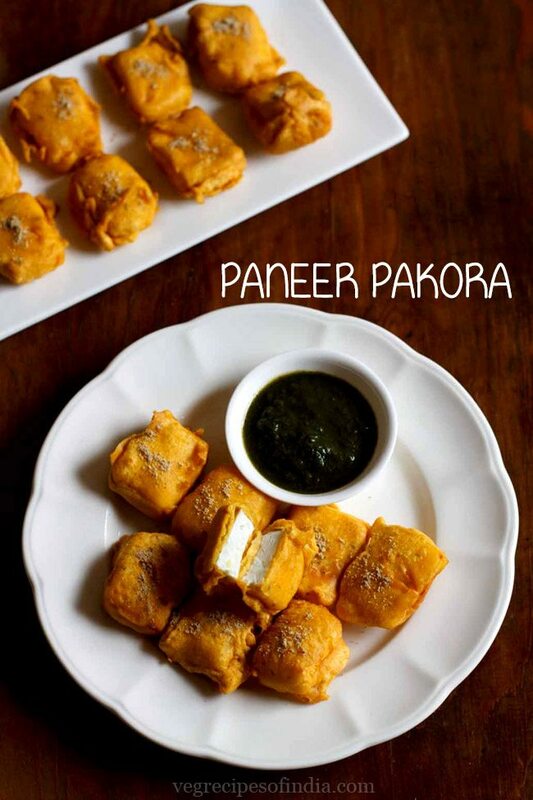 you can try this punjabi paneer pakoda version as well and you will like it. ajwain gives a good taste, aroma and helps in digestion also. I really like your recipes but my one complaint is the measures are always a bit confusing. In this one the paneer is measured out in grams but the flour is in cups. How big is the cup?what kind of cup – an American cup? Your recipes say one cup =250 ml. Even more confusing – how do I measure the flour in ml — do you mean 250 grams? the cup measure is 250 ml. use the same cup and take the flour in it. that will give you 1 cup of flour which when measured in a weighing machine will weigh about 95 to 100 grams of besan. if you want to measure the gram flour in a weighing machine, then it will be approx 95 to 100 grams of flour. 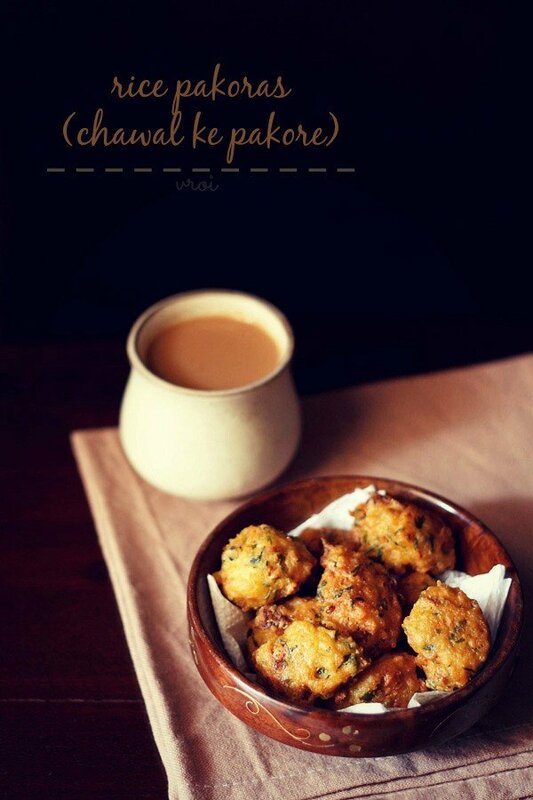 In this recipe you’ve mentioned to press the pakoras before re-frying. I was wondering what is its purpose? Does pressing make them crisp? Ruchi, yes they taste good and are crisp as well. Hi, thank you for your hard work. I just had a quick question, could you make this with frozen paneer and what will be the correct way to thaw it so it can be incorporated with the recipe. thank you. with frozen paneer, you will have to allow the paneer to come at room temperature. then proceed with the recipe. I love Pakoras, But i want to make Ice-Cream pakoras. NO its true, here in Surat city there are shops where they sell ice cream pakoras. can you please share the recipe? sanjana, i know the recipe but only tried once. i will try to add the recipe. thanks krupali for sharing this tip. i am sure this way the paneer pakoras would taste great. 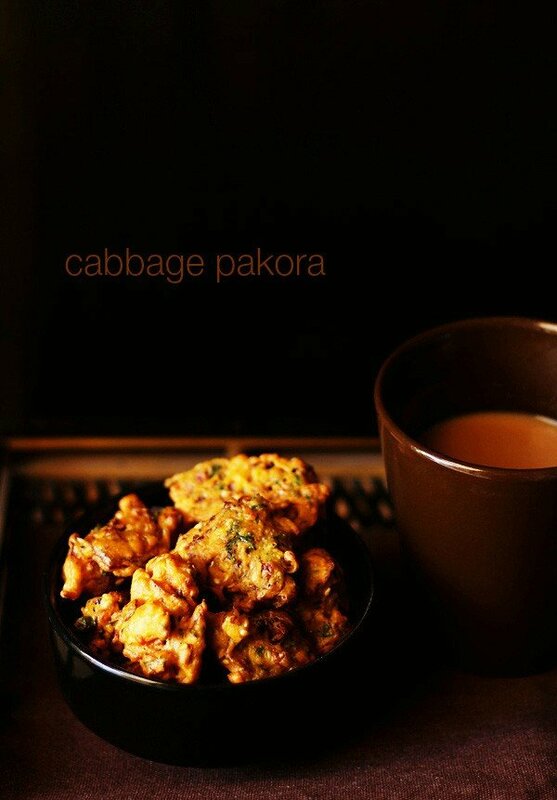 Pakora looks absolutely delicious! This is what i really need in this cold/rainy day with hot cup of tea!